It’s hard to imagine more than 40 years back when saving seeds was something only misers and old folks did, and heirlooms were special serving platters and diamond jewelry, not tomatoes and peppers. But it was in 1975 that Diane Ott Whealy and Kent Whealy founded Seed Savers Exchange with two types of seed passed on to Diane by her grandfather. A portion of the Seed Savers Exchange display gardens. Today Seed Savers Exchange maintains a 890-acre heritage farm and warehouses more than 25,000 varieties of potentially endangered vegetable varieties. It also sits at the center of a movement to preserve and plant vegetables that might otherwise be lost, resulting in a narrower, less diverse food supply. 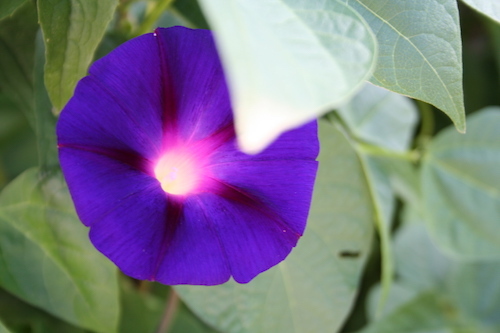 Grandpa Otts morning glory may be the most famous plant Seed Savers Exchange offers. While on my way to a Garden Writers Association meeting in the Quad Cities in Iowa Thursday, I took the scenic route through northeastern Iowa and visited the Seed Savers farm outside of Decorah. I was surprised how much the farm is set up for visitors, and what a fun place it was to stop. It has several display gardens, barns full of heritage chickens and cattle, an orchard of heirloom fruit, a specialty library, as well as hiking trails, a gift shop with a nice selection of books, hundreds of seeds and lots of knick-knacks. There is a play area for children, picnic spots, and peaceful views of the rolling Iowa countryside. In mid-July, Seed Savers will be celebrating its 35th anniversary with a 3-day conference filled with speakers, workshops on cooking and gardening, and a seed swap for home gardeners who save seed. « When Does a “Volunteer” Plant Become a Weed? It would be so much fun to visit Seed Savers Exchange! That chicken looks adorable! Heirloom seeds are the result of an estimated 10,000 years of intense work. Growing, selecting and saving them is THE human tribal ritual that made civilization possible. It hardly started 35 years ago. While Seed Savers Exchange has done great work in saving our own continent’s disappearing heirlooms, like all human institutions, it has a more questionable side. SSE now depends upon sales from its million dollar color catalog seed business. This “big” business actually competes with and puts stress on small regional heirloom companies trying to keep alive heirlooms adapted to their own regions. Kent Whealy was fired after 30 years without adequate explanation. He claims the current board is no longer legitimate. Keeping up their heritage farm and gift shop is actually what SSE does best, but this is hardly the core of their stated mission. Deeper discussions about how SSE could more effectively save regionally adapted heirlooms in each region of the country does not seem to be one of their priorities. Bill — thanks for stopping by and providing some information on the complexities of heirloom seeds. 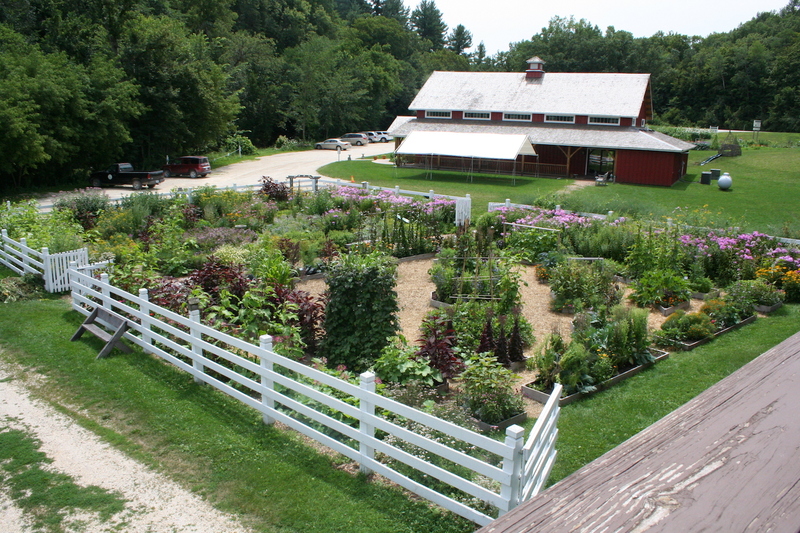 What regional heirloom companies would you suggest for gardeners in the north central region of the US?